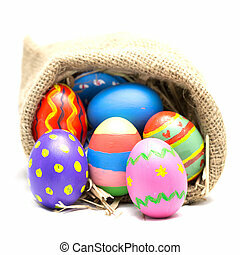 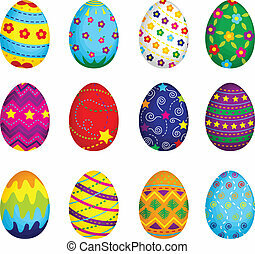 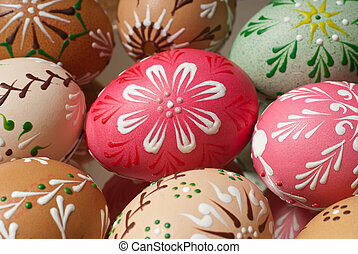 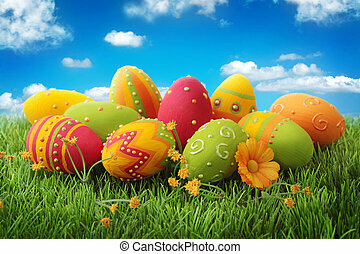 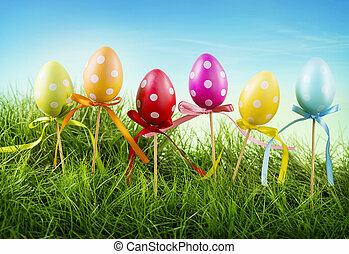 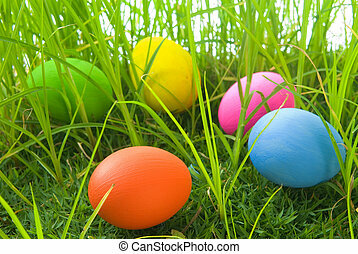 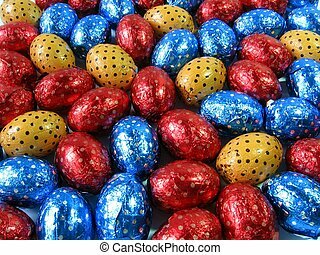 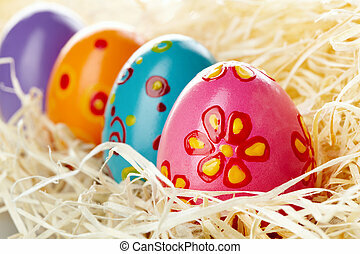 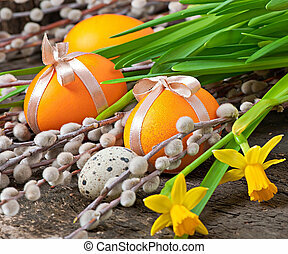 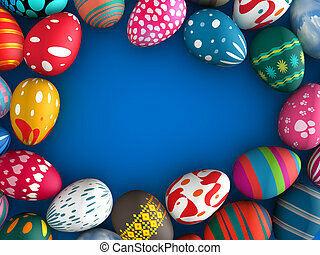 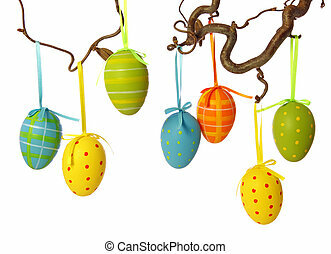 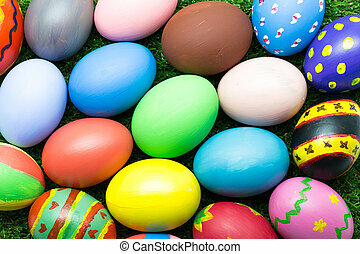 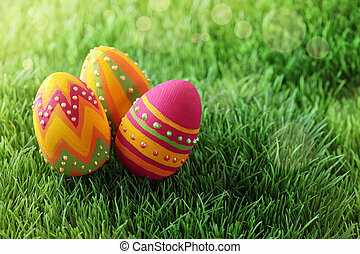 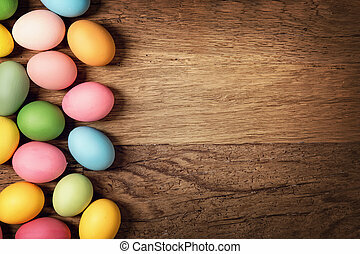 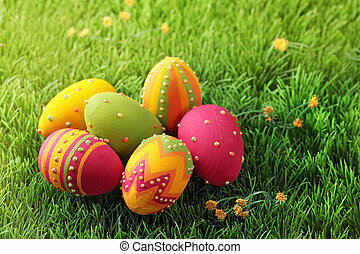 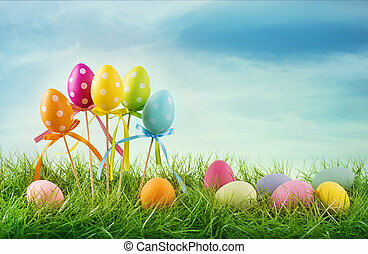 Close-up of a bunch of colorful Easter eggs. 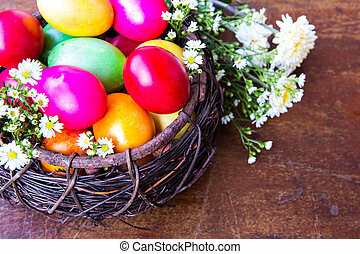 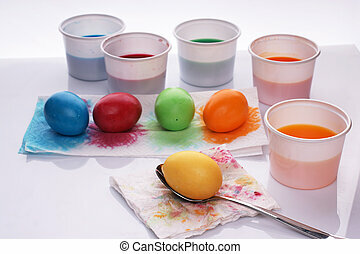 Several colorful easter eggs with pots of water-colour. 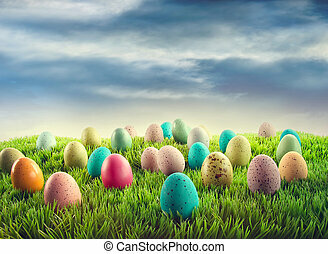 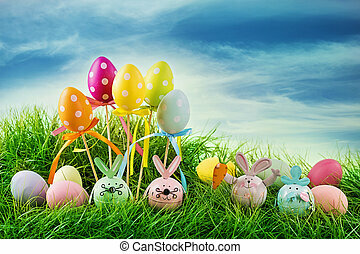 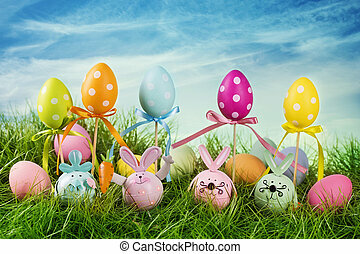 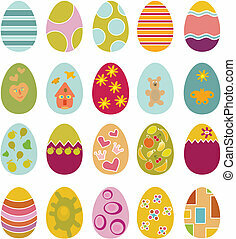 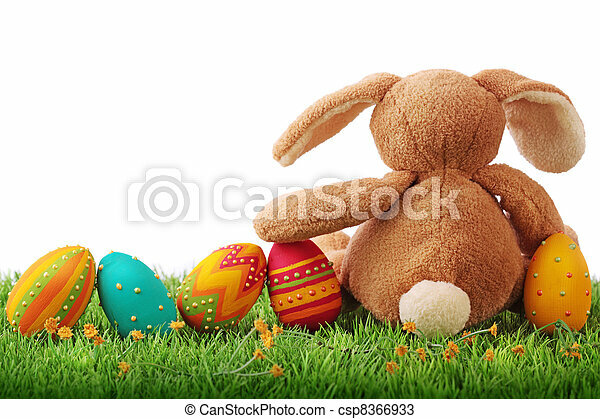 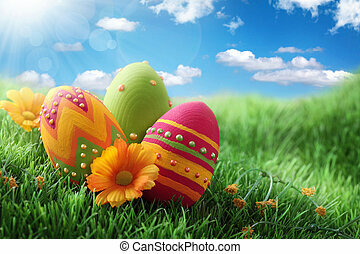 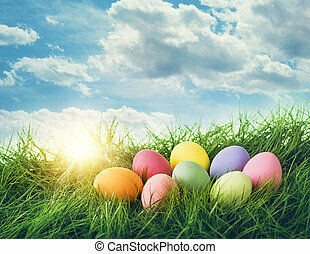 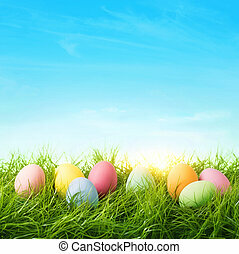 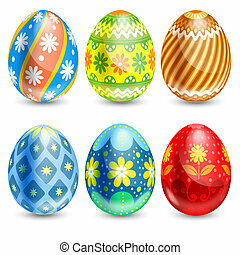 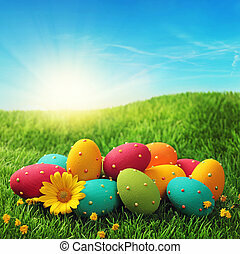 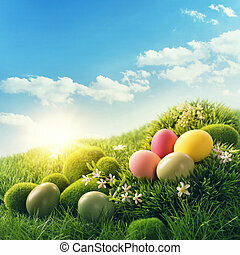 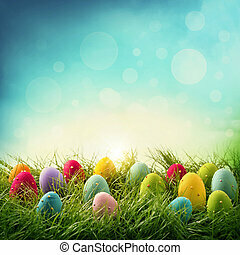 Easter eggs with blue color copy space background 3d illustration.